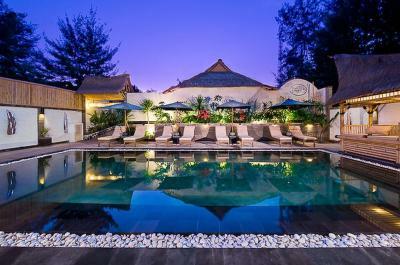 Boasting an outdoor pool, Scallywags Resort provides a relaxing get away in Gili Trawangan. 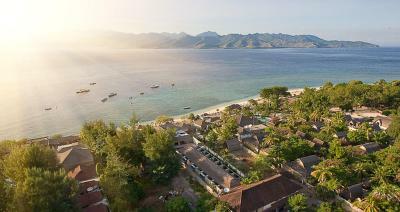 It is located just a 5-minue walk from Gili Trawangan Harbour and offers free WiFi access throughout. Equipped with air conditioning, the open-plan rooms provide guests with a flat-screen satellite TV, CD/DVD player and a safety deposit box. 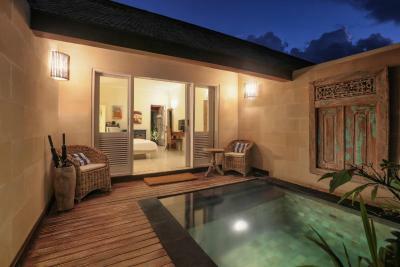 The soundproofed rooms are also fitted with a seating area, refrigerator and an electric kettle. A minibar is also provided. 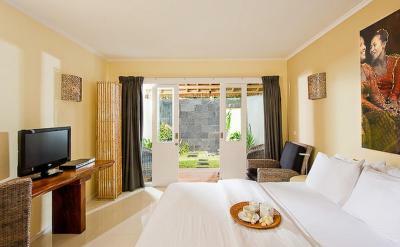 The semi-open private bathroom comes with a hot/cold fresh water shower facility, bathrobes and free toiletries. Scallywags Bar & Grill is an all day dining restaurant serving delicious Indonesian, Western and barbecue dishes. At Scallywags Resort you will find a concierge service, luggage storage and currency exchange service. The friendly staff will be more than happy to assist with bike hire. Other facilities offered include a garden, a terrace and a gift shop on-site.